'No Profit in Pain', written by Gruff for NHS70 is available now. 'Babelsberg' is available now on Rough Trade. 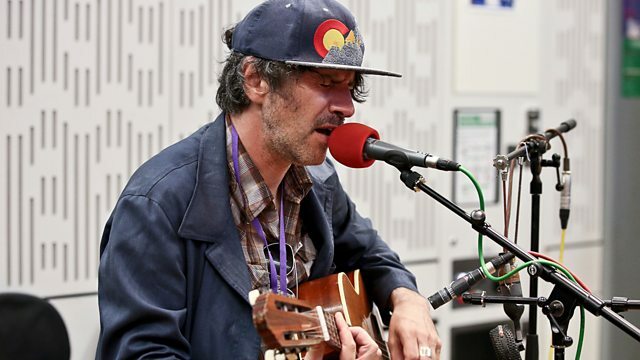 'Gruff Rhys: Resist Phony Encores' is at Pleasance Beyond, Edinburgh from 17th to 25th August at 11pm. 'NHS70: Laughter Is The Best Medicine' is at The Lyric Theatre, King Street, Carmarthen on 21st July. 'Calypso' is published by Little, Brown and is available now. 'Miss Littlewood' is at the Swan Theatre, Stratford-upon-Avon until 4th August. 'Under the Covers' is at Circus Hub, Underbelly, Edinburgh from 4th to 18th August. 'Rejuvinate' is available now on R&S Records. Paul is playing at The Waiting Room, London on 1st August.